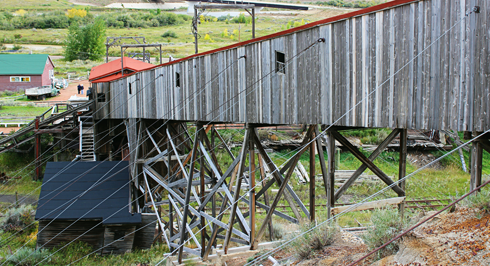 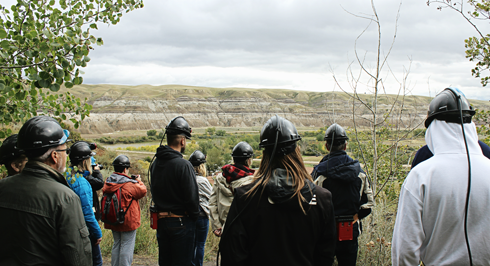 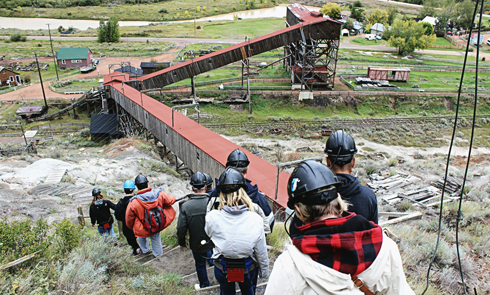 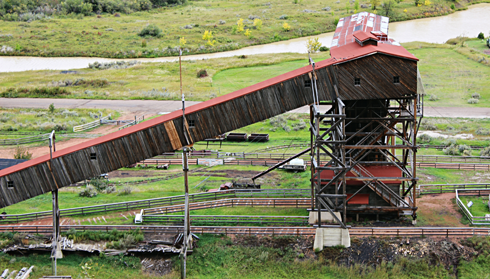 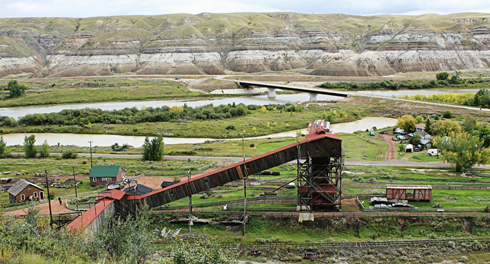 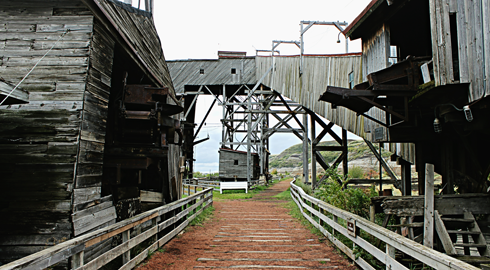 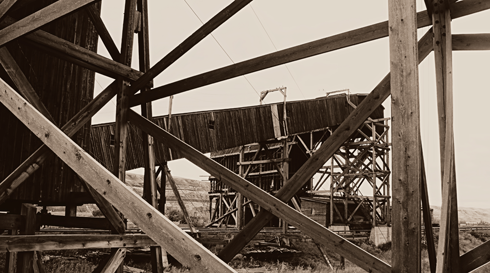 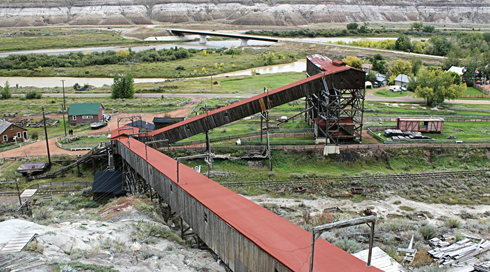 As a beautifully preserved and uniquely rustic site in the Canadian Badlands, the Atlas Coal Mine near Drumheller, Alberta is a pretty fascinating place to explore. 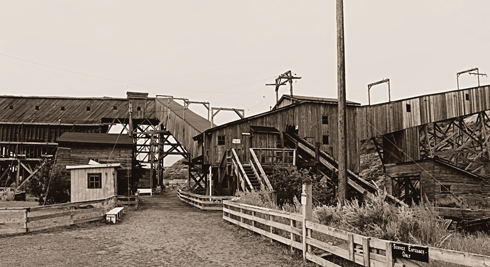 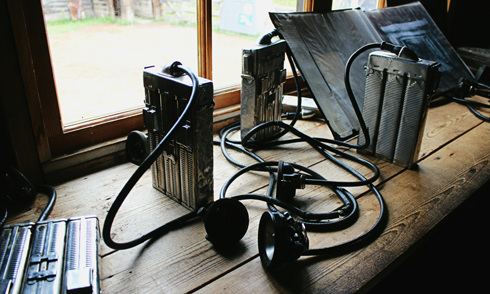 Just a couple years ago as I was just starting to shoot my Around Alberta photo series, I visited the Atlas Coal Mine with my family to take a tour of the wooden tipple. 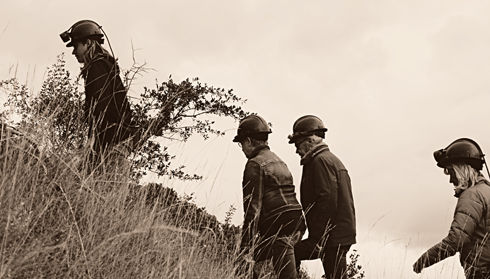 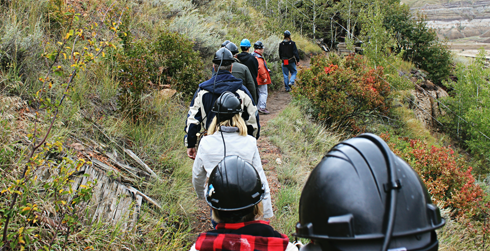 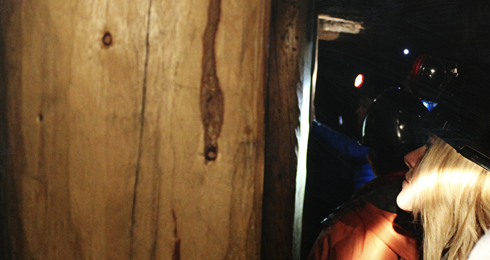 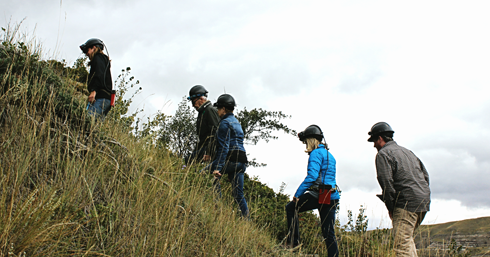 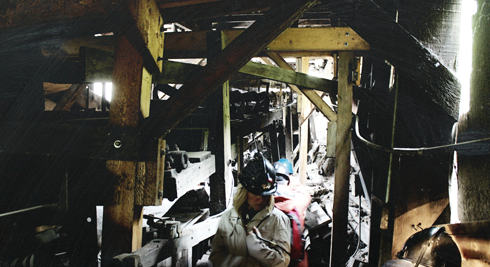 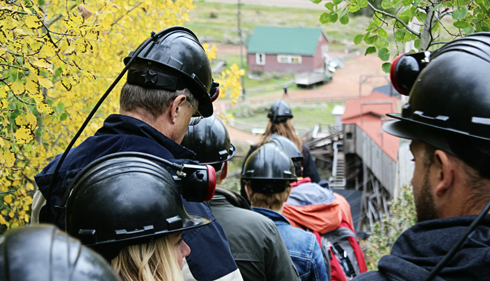 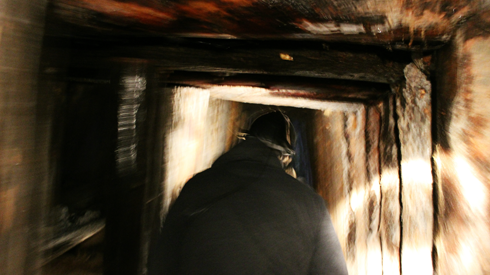 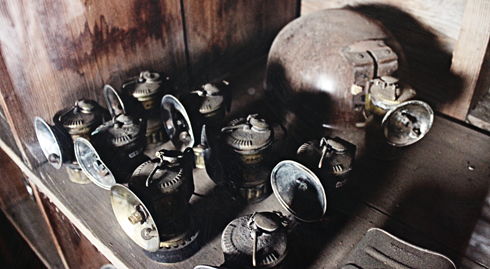 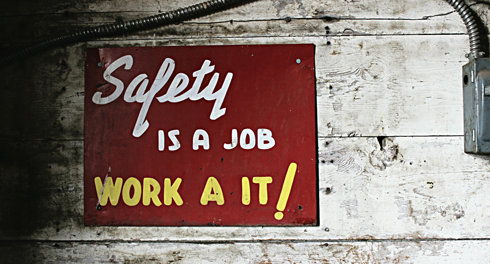 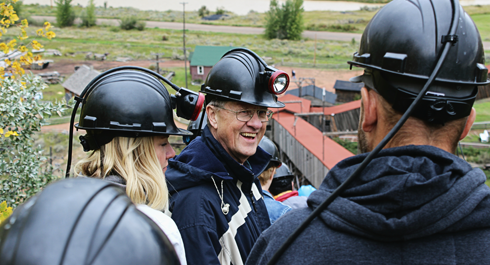 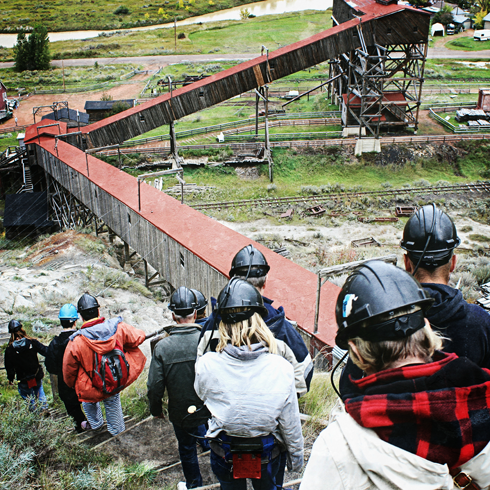 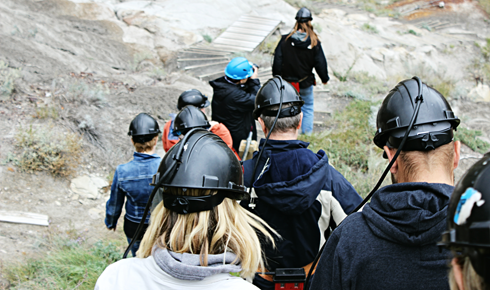 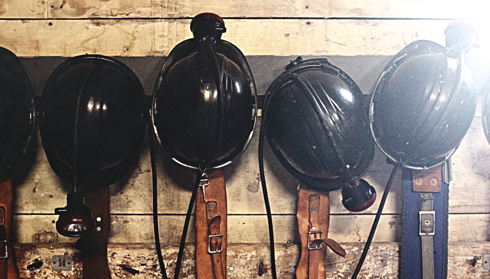 We enjoyed the experience so much that we decided to visit again and take the actual mine tour this time around. 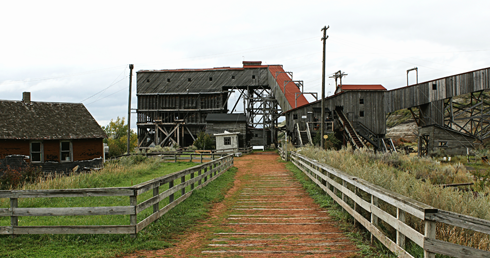 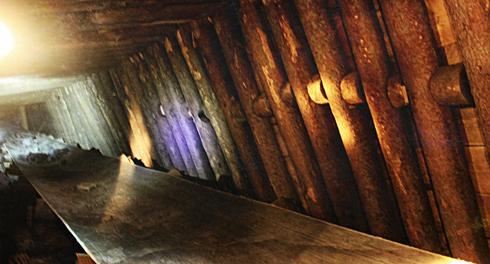 You might be wondering what's so interesting about an old coal mine, but the location alone makes it worthwhile. 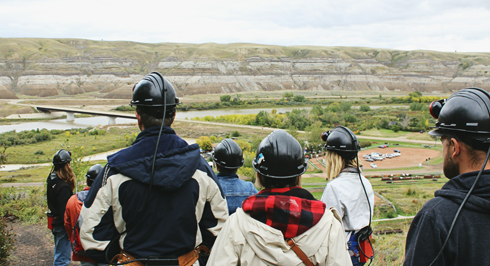 Surrounded by stunning views of the Red Deer River valley, the Atlas Coal Mine has a quaint charm that reminds you of just how much life has changed on the prairies in the last 50+ years. 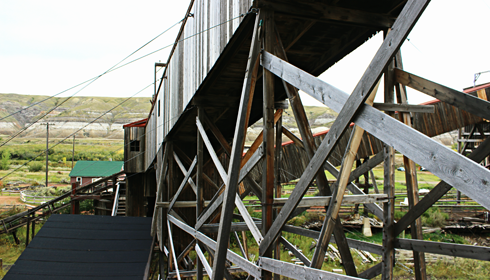 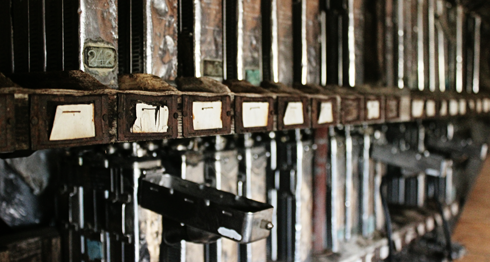 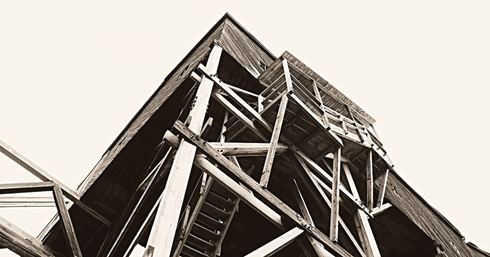 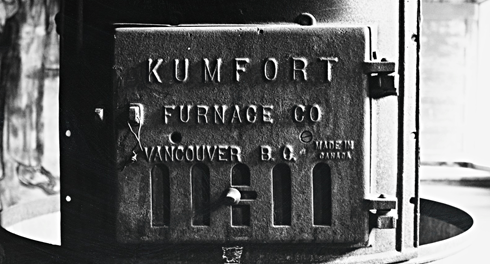 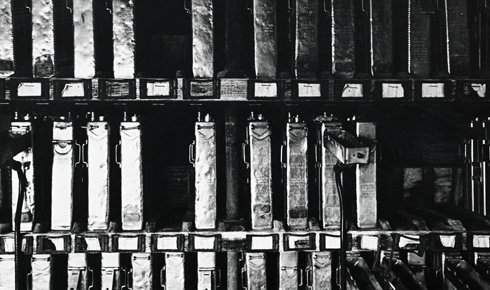 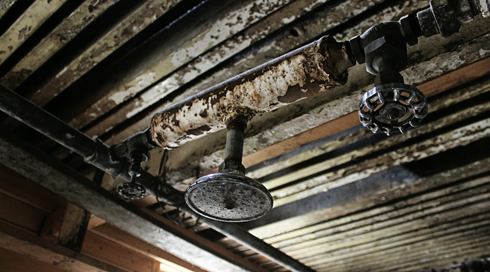 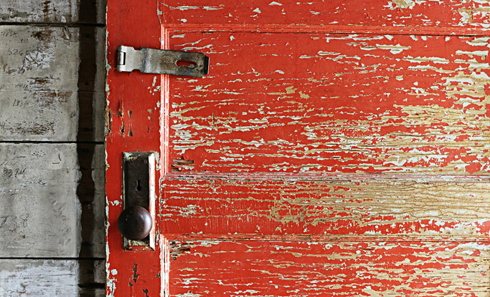 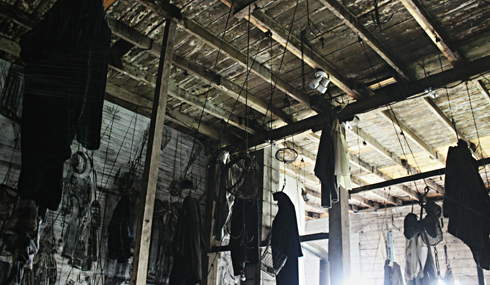 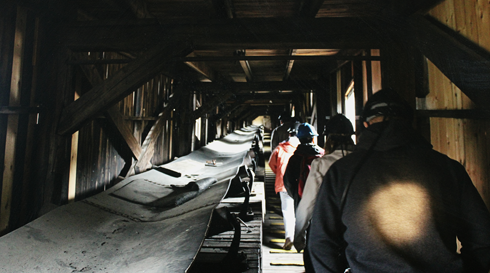 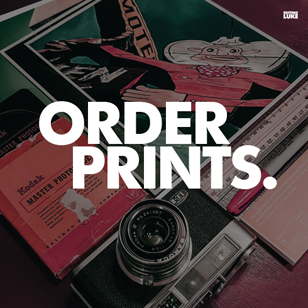 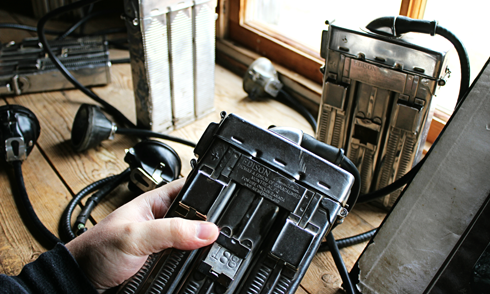 It's the kind of place that makes you feel closer to a bygone era, while also providing an excuse to explore a structure that is the last of its kind in Canada. 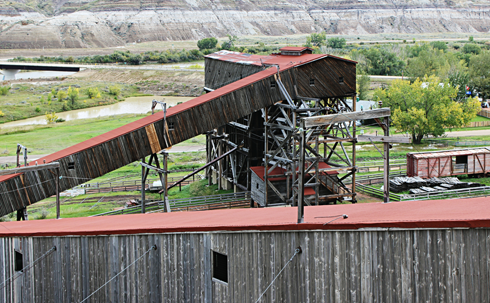 You can find more pictures of the Atlas Coal Mine from my previous visit here. 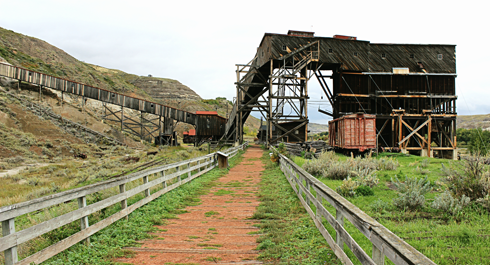 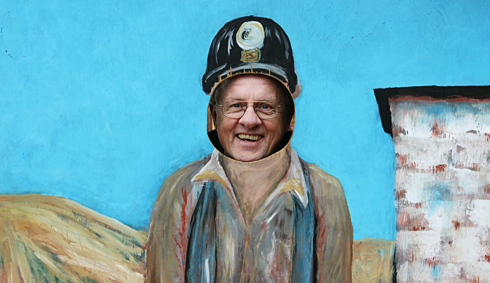 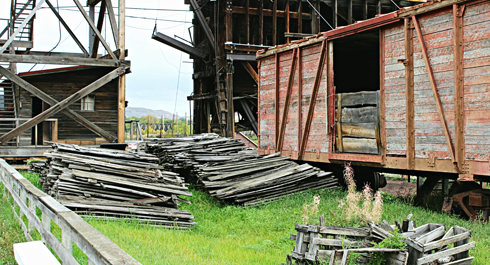 In the meantime, enjoy these latest additions to my Alberta travel photography series that I captured as we wandered the historic site of the Atlas Coal Mine on a chilly September afternoon. 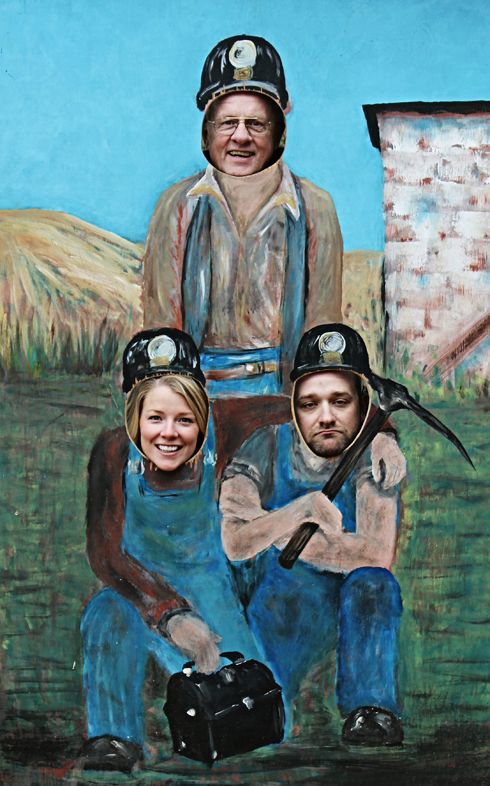 My dad the coal miner.